When Dave Chmielewski started making toffee in his home kitchen, he never thought it would be where it is today. Dave, a retired Detroit Fire Fighter, had always loved to cook and bake. When he started making his infamous almond toffee however, the response was unlike anything he had seen before. People soon started calling the house and demanding that he make them some of this delicious treat. With a few homemade labels and some Ball mason jars, Dave began to sell his confectionary creation. What had started as a hobby quickly became more like a full-time job. Dave's son, Andrew, had always loved his dad's cooking, and when he saw the demand that his father's toffee was creating, he knew that there was something there. In early 2011, inspired by his father's recipe and eager to put his passion for business to work, Andrew decided to create a business that would allow people across the country to taste the decadent treat…not to mention, free up space in his mother's kitchen. 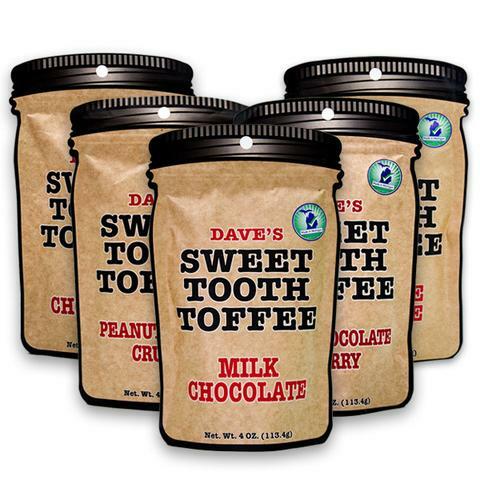 Dave's Sweet Tooth was born. 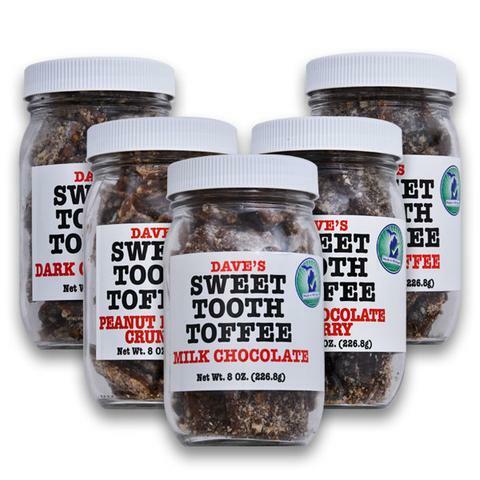 People started spreading the word, and soon, Dave's Sweet Tooth was popping up in homes and businesses across the country, and even garnered national notoriety with an appearance on The Today Show and Good Morning America. The response was unanimous–people couldn't get enough! And they still can't. We sure hope to keep it that way. 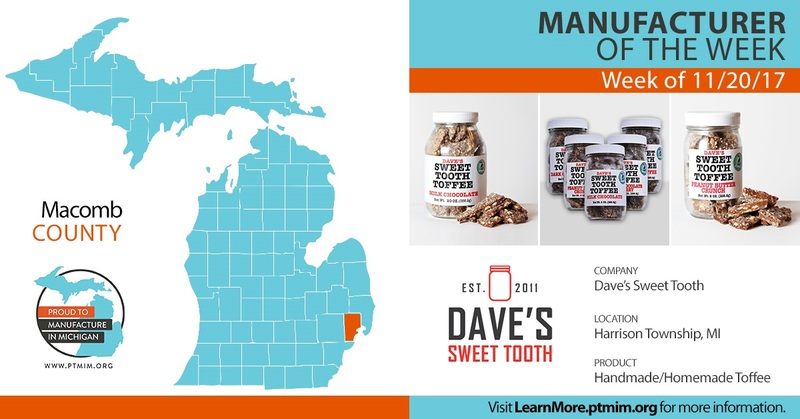 Sticking to the tradition of creating handmade toffee in our home state of Michigan remains a priority, and using the very best ingredients remains a promise. We keep it simple. Fancy is too complicated. Real butter, real sugar, real milk chocolate, and hand sliced almonds prepared with love, one batch at a time, every time. Consistency is the key to our recipe. We don't stockpile our ingredients. 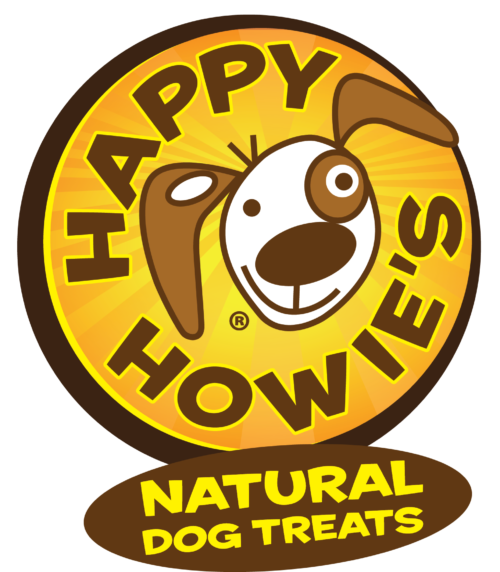 We purchase them according to order size to ensure freshness and maintain taste integrity. We have never had an unsatisfied customer, and we refuse to skip the small steps in order to keep it that way. Maybe a bit old fashioned, but we do not use machines, microwaves, or assembly lines to produce our toffee. 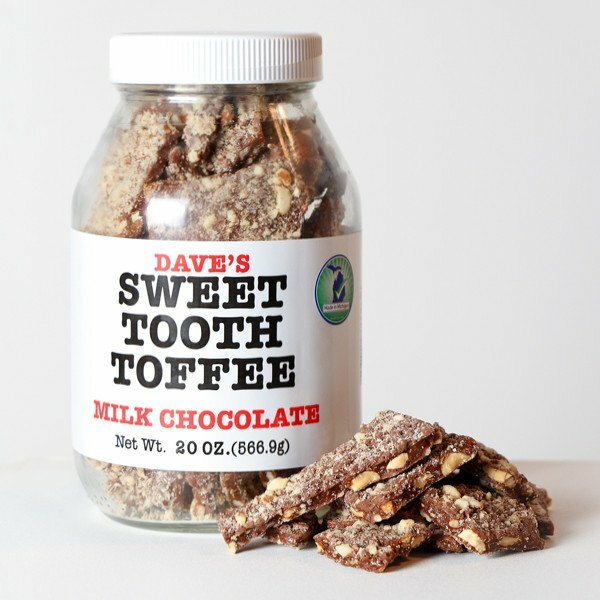 Dave's Sweet Tooth is and always will be; Hand Made. Homemade. Michigan Made.